Damp Nation are nationwide specialists in cellar conversions and cellar waterproofing and have been providing a quality service for over twenty years. Cellar conversion and waterproofing has become increasingly popular in recent years. The demand for more space coupled with high property costs is making homeowners consider a cellar conversion. A home is an extremely valuable asset, so careful planning is very important for a cellar conversion project. Here at Damp Nation we have provided a guide to arranging a survey for our customers to consider. The local building control officer will oversee and then visit any habitable cellar conversion. The cellar conversion will need to comply with Building Regulations otherwise this non-compliance will affect the whole building project. Sadly, we have been to ‘converted’ cellars where this has not been considered by the contractor. This in-turn has affected potential house sales, integrity of the conversion, and more importantly could be life threatening. These conversions deal with the basic aspects of turning a damp and dingy, unpleasant and unusable space into a bone dry, and usable cellar. The emphasis is dealing with the physical threat of water rather than the look of the cellar to create an indoor room with a variety of practical uses which we can discuss and adapt together during our planning stage. These popular conversions deal with the need for fully functional and comfortable household space. This conversion can take an unloved cellar and turn it into the extension your house has been missing, at a fraction of the cost. Your cellar will be fully damp proofed with plastered walls, electrics and floor coverings. Your cellar will be a comfortable space that is compliant with building and fire regulations and ready for furnishing. Clients who contact us concerning cellar conversions within this price range are looking to add something special to their home. 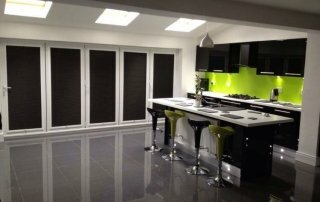 This type of cellar conversion is for people looking for something that can really impress visually, as well as being a functioning extension to their home. These conversions are fully designed at every level, mixing innovation and elegance with function and practicality. This type of cellar conversion is for people who are looking for the wow factor. Does the cellar ever flood? What is the access like? Does a staircase need to be installed, and if so is there adequate room for one? What is the headroom in the cellar, please bear in mind that the ceiling and the floor treatments that you will have to install will reduce the available headroom? What are you planning to use the space for? Is there an escape route apart from the staircase? Is there any ventilation to your cellar or could any be provided? If you can resolve all of these issues, then your cellar may well be suitable for conversion. Most cellars are set either partially, or completely within the ground , which means they tend to suffer from problems with damp. 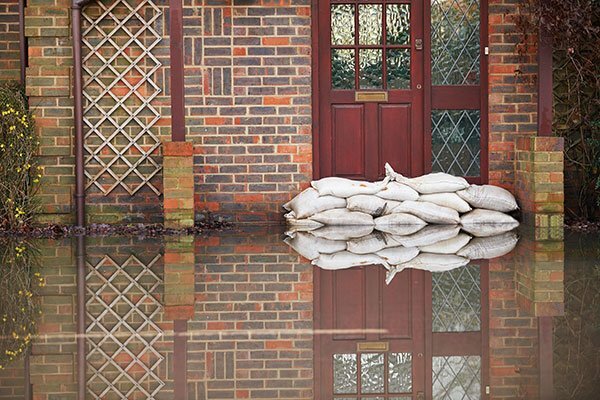 Whilst your cellar may never have experienced flooding, with the area being underground there is always a high possibility that this could occur in the future. Principally there are two types of systems that are available for damp proofing cellars. 1) Cementitious – Waterproofing. This is where cementitious slurry’s are applied to the walls and the floors to stop any water entering into the cellar. 2) Cavity Drainage Systems – Water management. 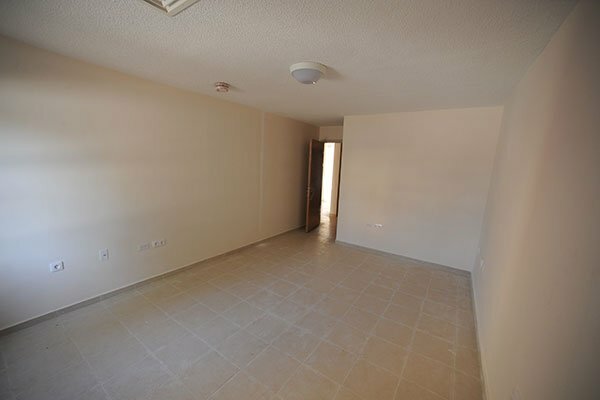 This is where plastic dimpled membranes are installed in the walls and floors. A drainage channel is installed to the perimeter of the room that leads to a sump where a pump(s) discharge the water out of the cellar. Protecting your cellar from damp is an important part of the cellar conversion process. Building Control will need to approve the details of the system that it is intended to be installed prior to installation. If there is not sufficient headroom in your cellar it is sometimes possible to lower the cellar floor. However, this is not a simple operation and careful consideration needs to be given to whether lowering the floor will undermine the house or the neighbour’s house foundations, whether the floor will end up below the water table and make the property more vulnerable to flooding. Some cellars already have good stepped access to them, whether the existing stairs will provide suitable access to a habitable room is a matter of judgment and our Building Control. If there are no steps, or if the existing steps are inadequate, a new stair will need to be installed. Careful consideration should be given to the best location for the stair and this will be influenced by a number of factors, including the layout of the existing house and cellar, the headroom available and whether a secondary means of escape can be provided from the cellar area. The maximum pitch for the stair should not exceed 42 degrees. The maximum rise of each tread of a domestic stair should not exceed 220mm and the going should be at least 220mm. The clear headroom over the stair should be at least 2m, for some loft conversions the Building Regulations allow a reduced headroom of 1.9m over the centre of the stair and 1.8m on the outside edge. The stair should be provided with a handrail at least 900mm high. Any exposed edges of stairs or landings should be provided with a balustrade that is at least 900mm high. The cellar will need to be provided with suitable escape routes in case of a fire. If your cellar has a porthole type window to the outside for to provide light and ventilation, it may be possible to upgrade this. Doing this not only provides light and ventilation to the room but also a secondary fire escape. To be considered as a secondary fire escape it would need to be fitted with a door or window which has a clear area of at least 0.33m2 and 450mm wide. To form a room suitable for habitation, then an escape route has to be installed. Special fire escape hinges should be fitted to this window or door to ensure that it can be fully opened if you ever need it and you should be able to easily climb up from the light well to ground level. When converting a cellar mains operated smoke detection will need to be installed, and these detection units will have to be installed to other floor levels if there are no such devices. Fire doors and frames will be required to seal the cellar either at the top or the bottom of the stairs. In older properties there may be a featured door at the top of the cellar, in this case the fire door can be installed at the bottom of the stairs. Depending on the use of the room you may wish to install a sink, bathroom, shower room or even a washing machine in your conversion. Therefore, it is important that you consider drainage at an early stage. 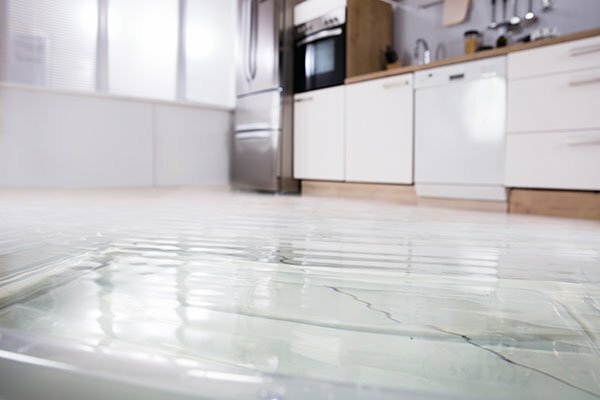 As the drains are usually above the level of the appliances that you wish to install you are likely to need to install a pumped drainage system and various package systems are available. Unless your existing cellar has an adequate ceiling you will need to provide one as part of your conversion. Plasterboard is the most common material used for ceilings as it offers good fire resistance and flame spread properties. Ceilings will need to offer 1 hour fire protection. If either your cellar or the room above is to be used as a bedroom you will need to install 100mm of acoustic quilt within the floor void between the rooms. To maximize the usability of the room you will probably want to install heating, in most instances the most effective way of doing this is to extend the existing central heating system. You will need to check with your plumber or heating engineer to ensure that your existing boiler and pump has sufficient capacity to serve any additional radiators. Any new radiators should be fitted with thermostatic valves to control the room temperature. If it is not possible to extend the existing system, or, if you prefer an alternative method of heating, e.g. electric panel heaters, careful consideration should be given as to how these can be switched and controlled to ensure that they function efficiently. Any new habitable rooms will need to be ventilated and this can sometimes present a problem for cellar conversions. Where the cellar contains a light well this can sometimes be adapted to include an opening window equivalent to 1/20th of the floor area of the room with a trickle vent at high level. 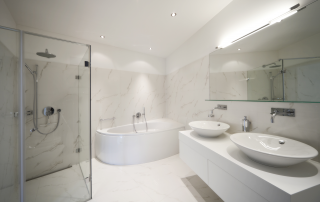 In any bath or shower rooms an extract fan should be fitted and if they do not have opening windows extract fans should be fitted that are triggered by the light switch with overrun timers that allow the fan to remain on after the light is turned out. Where natural ventilation through windows is not practical a mechanical ventilation system will need to be installed and various package systems are available on the market. Ventilation should be considered early in the design stage as, if mechanical ventilation is required, the duct work will need to be accommodated. CO2 emissions are a major concern in today’s environment and you will need to provide a high level of insulation within your conversion. Your cellar should provide an insulated envelope so that the amount of heat escaping is minimised. The walls and floor of your cellar are generally lined with insulating boards and the windows should include 24mm double glazing units incorporating low emissivity glass. As well as insulating your extension you will need to consider the efficiency of any services you put into it. 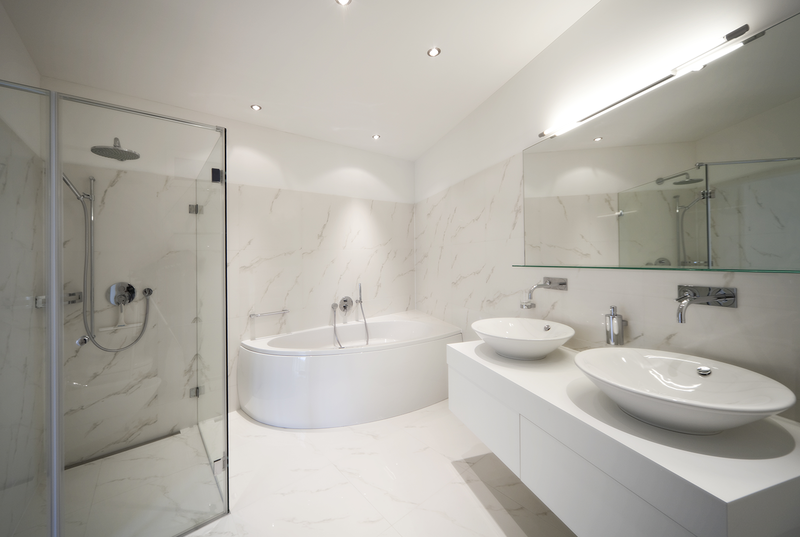 Low energy light fittings should be used where possible and any new heating systems should work to high levels of efficiency and have suitable thermostats and controls. You are likely to require some electrical alterations as part of your conversion. Depending on the age and condition of your existing electrical system it is sometimes possible to extend existing circuits, but sometimes new circuits and even a new distribution board will be required. It is a good idea to get advice from a competent electrician at an early stage. When appointing an electrician please ensure that they are able to issue you with BS7671 test certificates when they have completed their installation as these will be required before your Building Regulations Completion Certificate can be issued and you will incur additional costs if the test certificates have not been provided. A well converted cellar can be an interesting space and can be a great way of getting extra room in your house. In the first instance, see what you want out of the cellar that you intend to create. We arrive at many potential clients properties that intend to have a conversion carried out to their cellars and contact three to four contractors to call and provide them with an estimate. Whilst obtaining various quotations is a good idea, we would recommend that plans are drawn up and a system designed with the type of materials used to obtain a ‘like for like’ quotation. Sadly clients have gone on the price only, and many are not experts in cellar conversions, so they do not know until a problem arises if they have got a cellar designed for damp, and or suitable to Building Regulations. 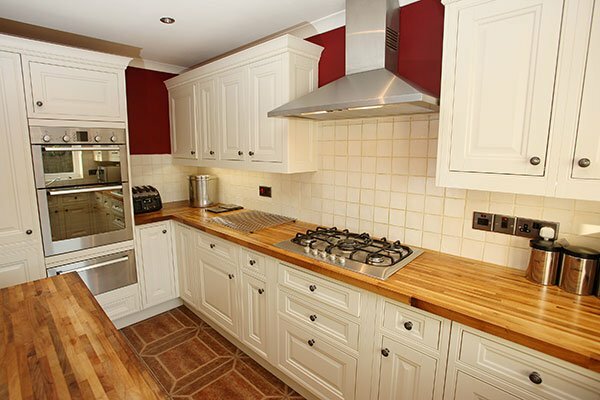 Damp Nation offers a design service where we will design and specify materials required for your conversion where we are more than happy for you to use to obtain further quotations. 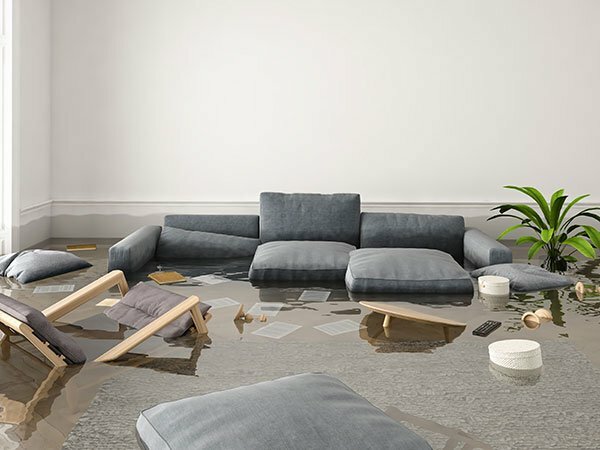 Rooms located below ground level can be particularly susceptible to lateral and rising damp issues because the space is surrounded by moisture-soaked earth. 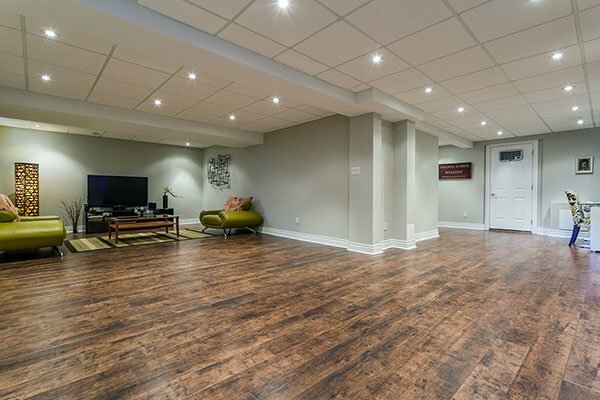 We use a process called tanking, which is a specialist waterproofing technique that can stop the risk of water damage occurring in your basement. We are confident that our specialist team can convert any cellar, basement or vault into a habitable space using two main types of cellar damp proofing. Cementitious Multi-Coat Render (Tanking) – The wall is prepared by removing any loose materials, and multiple layers of render mixed with a waterproofing agent are applied to the wall in a thick sand/cement mixture. We then offer a range of finishes to apply to the newly waterproofed wall. Drainage Membrane – This process involves attaching layers of high density polyethylene extruded membrane to the walls, ceilings and floors of the basement. 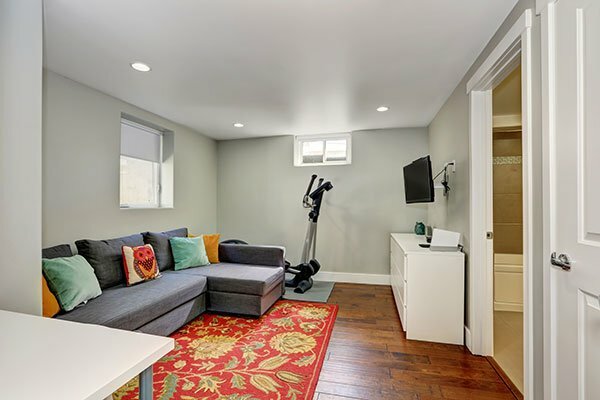 Minimal preparation is needed, making this method a quick and cost-effective way to protect your basement from damp problems and to make it an adequate living environment. This option is considered a water management system as it still allows moisture into the space, but it feeds the water into drainage channels where it is pumped safely away. Plastering can be applied directly to the membrane walls or dry lining can be placed directly onto battens. 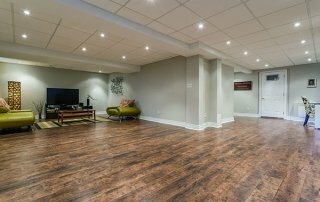 Our special design and finishing team are able to assist you once we’ve completed the basement waterproofing technique of your choice. So we can finish your newly damp proofed basement to your specific tastes – tailoring our service to fit your requirements. 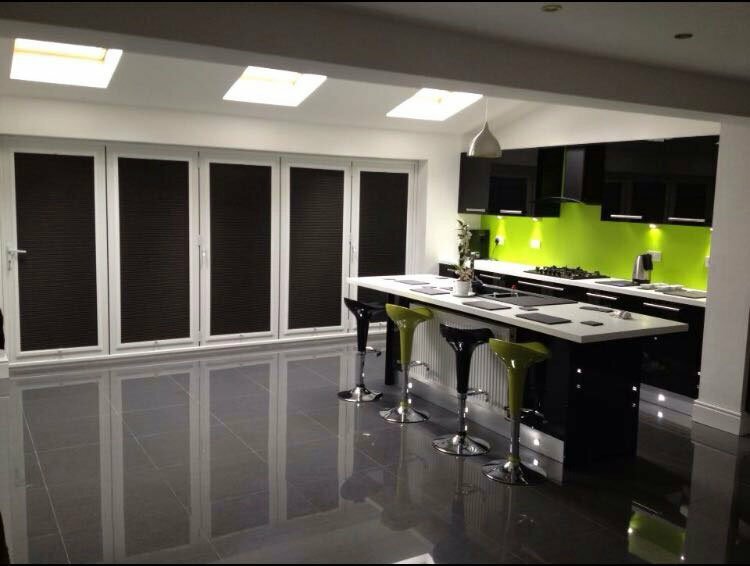 Need a quote on a cellar conversion?